Let’s face it — finding a yoga studio is kind of like choosing a new pair of yoga pants. They both need to fit, showcase your personality, and allow you to feel comfortable and at home. 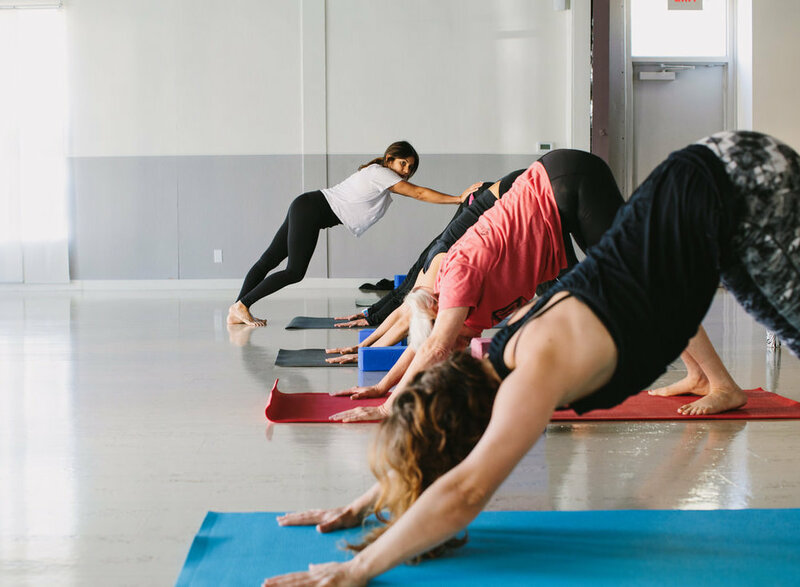 Whether you prefer restorative flows or sweaty Vinyasa, come from CrossFit or the couch, Bayou City has a plethora of yoga studios so you can find your flow throughout the city. 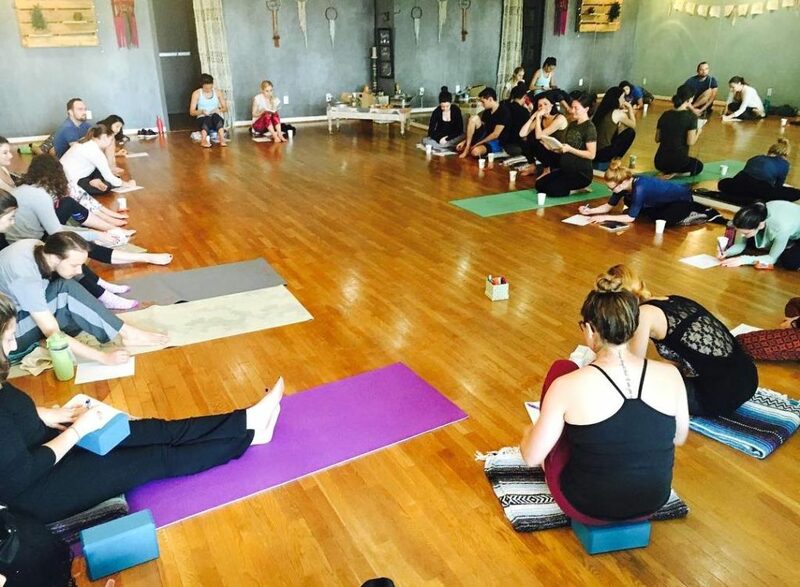 So limber up, try something new, and roll out your mat at our favorite yoga studios in Houston. 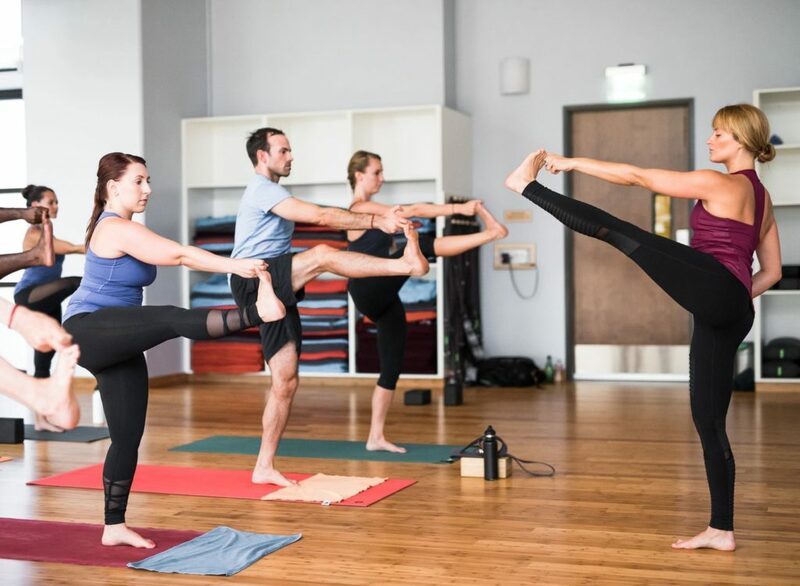 Situated in the heart of Montrose, a class here lets you learn the Pralaya Method of yoga directly from founder Robert Boustany. So what the heck is that, right? The Pralaya Method focuses on poses that maximize joint longevity, so you can keep practicing for many years to come! After your class, pop across the street for a coffee or croissant from Common Bond to refuel! 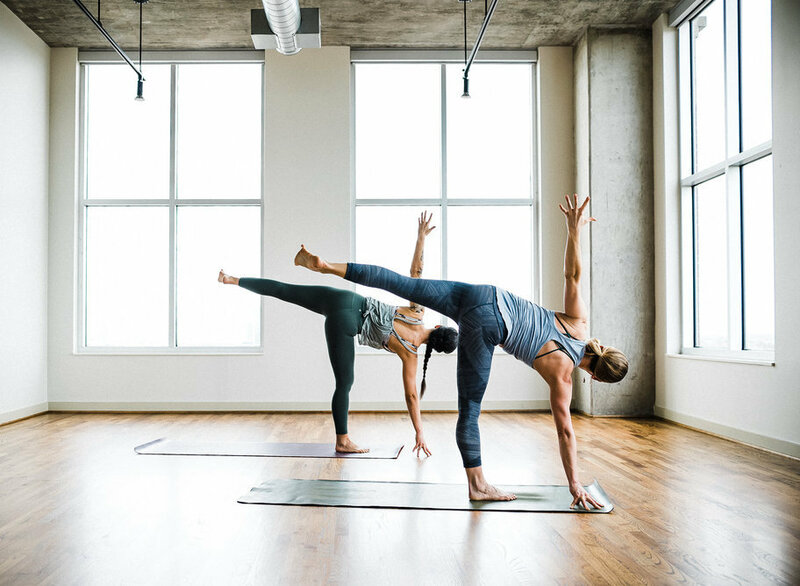 With seven studios across the city, you’re bound to find a convenient space to get on your mat. Whether you’re into hot yoga or Forrest, YogaWorks (formerly YogaOne) has something for every yogi. And with an in-studio juice bar at the Midtown studio, you can hydrate with a juice or smoothie after class. Bonus: thanks to the studio’s recent assimilation into the YogaWorks family, even if you can’t make it to the studio, you’ve still got online instruction in your living room. 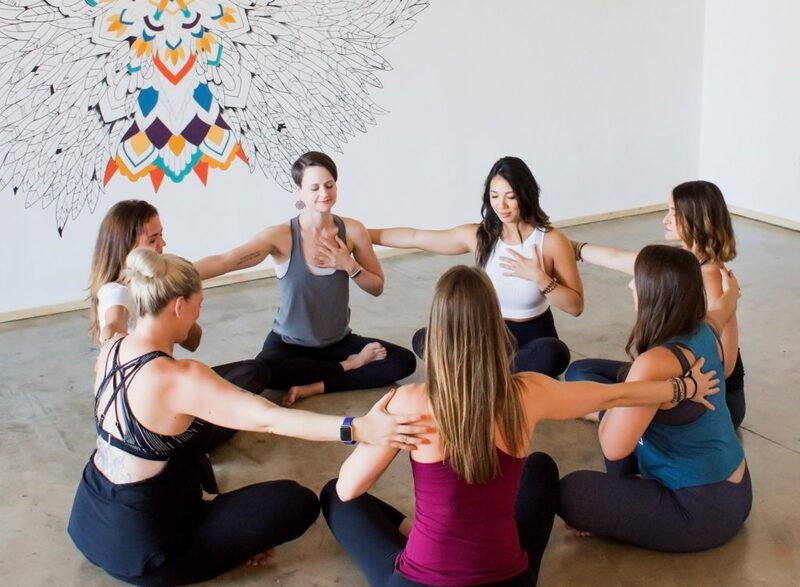 The first yoga-only studio in Cypress, Shaka Power Yoga focuses on building a community with ‘aloha,’ which is more than just the Hawaiian word for hello. It also means love, peace, and affection. And what is shaka? It’s a Hawaiian hand gesture to greet someone! You’ll find heated and non-heated flows in this outside-the-loop yoga community, plus fun events like Yoga in the BEERbs, a class held at a local beer garden. Aloha to that! Place one hand over your heart and one hand over your belly. You feel that? That’s what The Atrium is tapping into with yoga classes that focus on heartfelt intentions and building a Vinyasa flow that makes you stronger from the inside out. 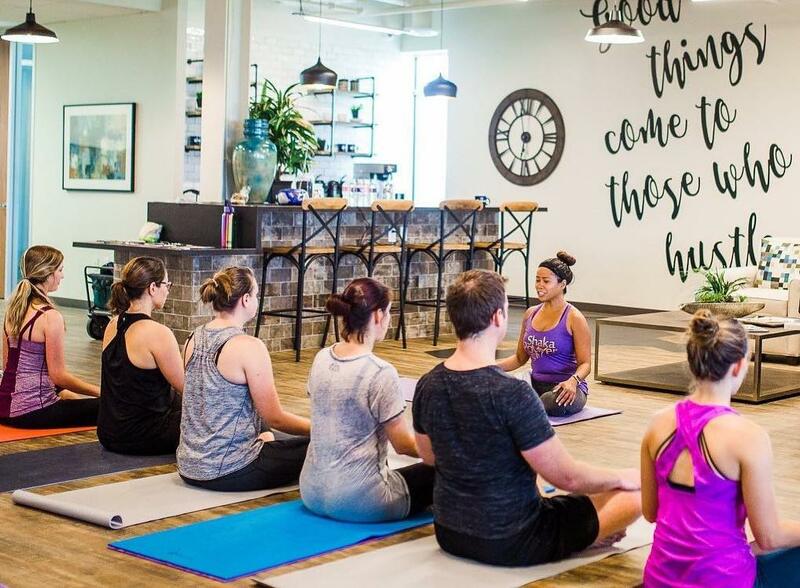 Houston’s newest yoga studio hasn’t nailed down a brick-and mortar just yet, but once they do, get ready to find your flow. Featuring creative Vinyasa sequencing set to music and powerful class themes, you’ll leave Revolution Studio feeling relaxed and inspired. It’s more than just a yoga studio, though — Revolution also serves up indoor cycling classes at all three of their locations. 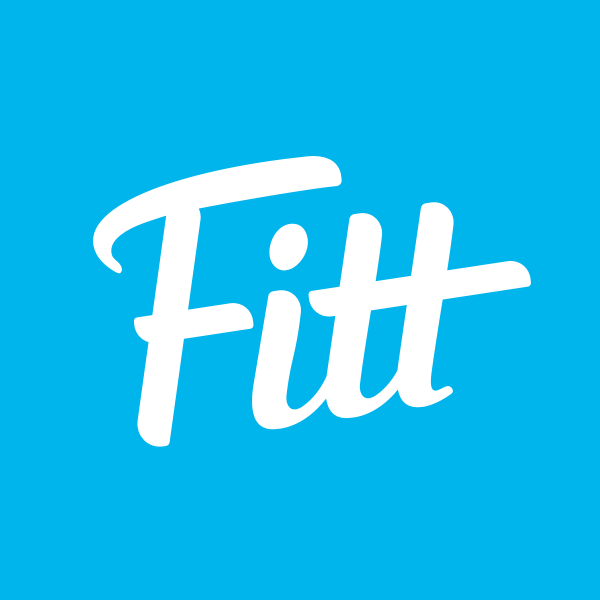 So you can hustle and flow in Sugar Land, Memorial City, and River Oaks! Everything’s bigger in Texas (we know this by now), and that includes yoga. With studios in Montrose and Memorial, BIG serves up Baptiste-style yoga and a community passionate about living life to its fullest. And if you’re sold on their style, try their bi-annual 40 Days to a Personal Revolution to deepen your practice, meet new friends, and create something bigger in your life! This Montrose studio offers more than just yoga classes (though, the yoga’s pretty bomb, too). Upon entering the cozy studio, you’ll find whimsical decor, a welcoming space, and a boutique with handmade jewelry and meditation cushions. Sign up for workshops on meditation, goal setting, and even dreamcatcher crafting to stay inspired in your practice and life. 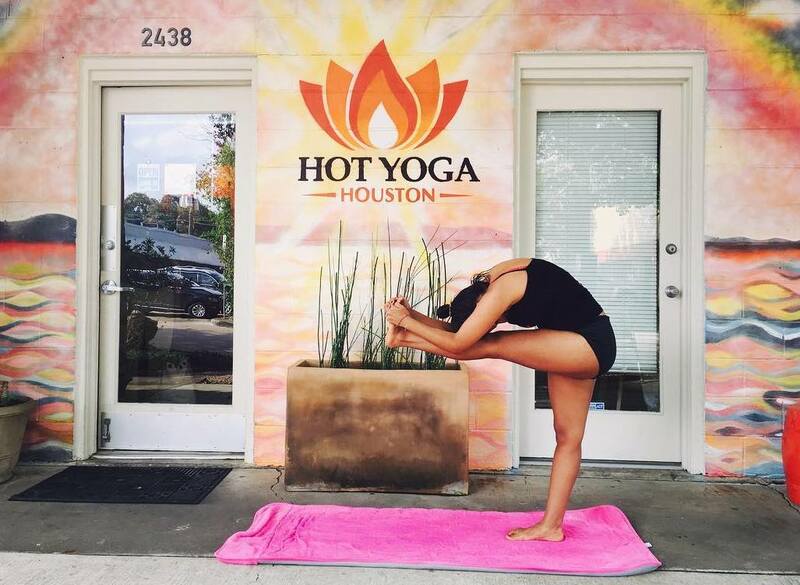 If you’re ready to heat things up (and we’re not talking about accidentally leaving your lunch in the car), head to Hot Yoga Houston. 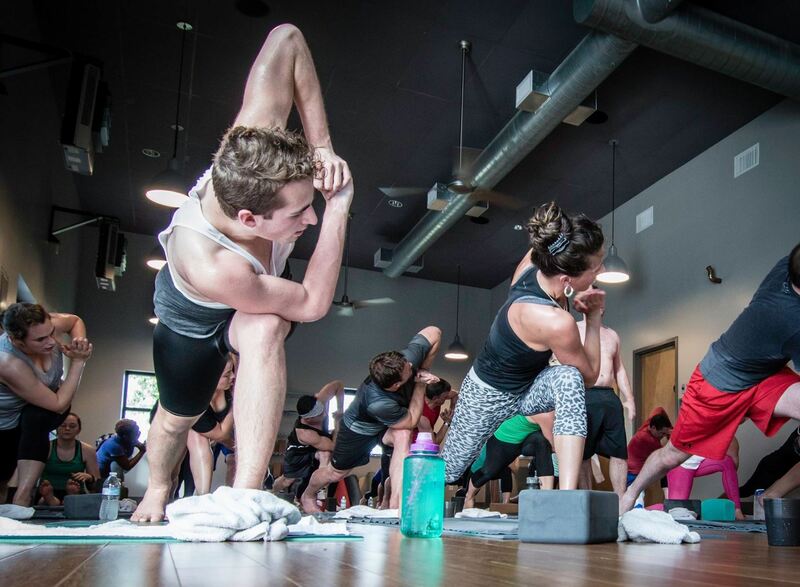 This Bikram-style studio in Rice Village brings the heat with a 90-minute series of 26 yoga postures and breathing exercises taught in a 105° room (use like 14 flame emojis to show your friends). If you’re ready to get hot, hot, hot, make your way to Hot Yoga Plus for a steamy Bikram yoga class. Featuring the original hot yoga method, you’ll move and breathe in a climate-controlled room heated to 105° and 40% humidity. Talk about some serious prep for H-town summers! In addition to Bikram, you can also check out the hottest (literally) new high-intensity workout — Inferno Hot Pilates. 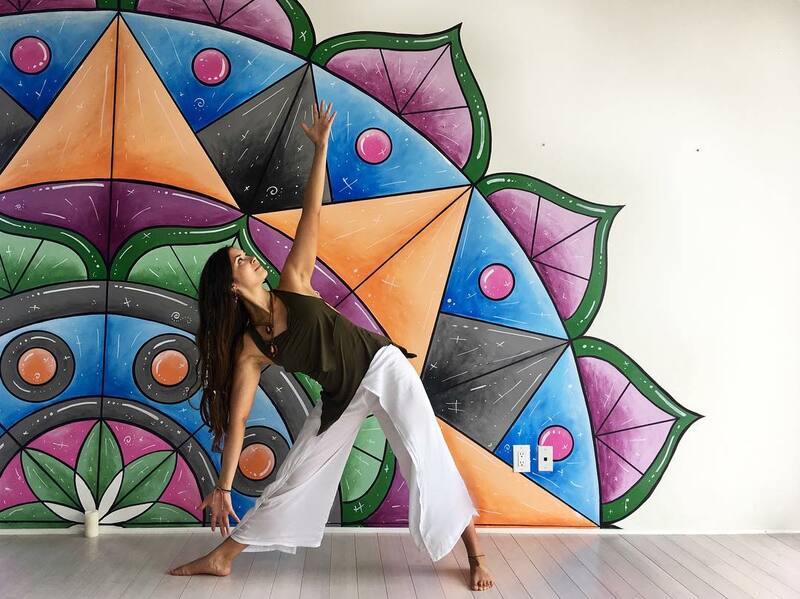 Established in 2004, this studio offers residents of The Woodlands a wide variety of yoga styles (Vinyasa Flow, Slow Flow, Yin Yoga, Gentle Yoga), teacher trainings, and workshops without having to make the trek into Houston. Mommies to be can also keep up with their practice thanks to prenatal classes at the studio (all at a special rate of just $10 a class). Take advantage of their special discounts for students, teachers, seniors, and veterans! A newcomer to the scene, this Heights studio does it a bit differently. BEYOGA offers non-heated yoga in four flavors: BE FLOW, an alignment-based flow; BE STRONG, fusions of yoga flow with bursts of strength-building cardio movements; BE ZEN, a Yin flow with mental and physical flexibility in mind; and BE BASIC, where you’ll learn there’s no shame in starting from square one. 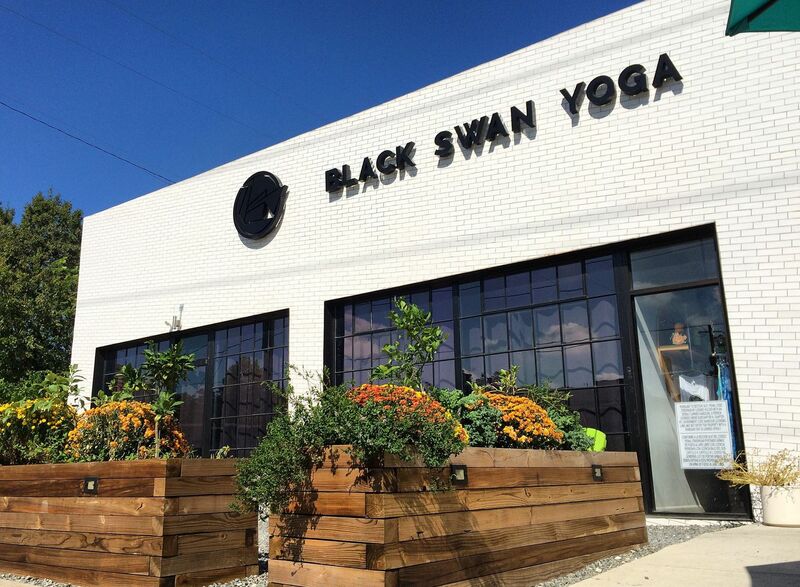 With affordable classes and prime locations in The Heights and West University, Black Swan Yoga is ready to turn up the temperature. 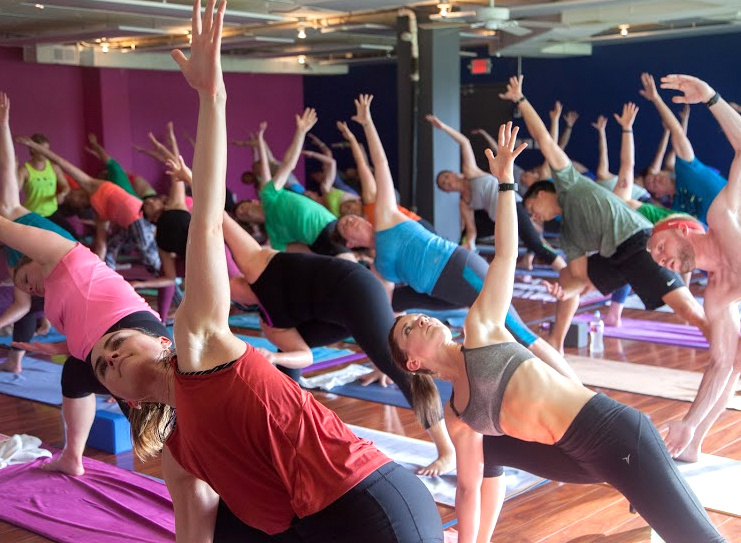 The swan yogis bring the heat with fun sequencing and bumpin’ music to flow to. Bonus: the studio shares its space with Juice Land, so you can sip on a nourishing smoothie as you head out. 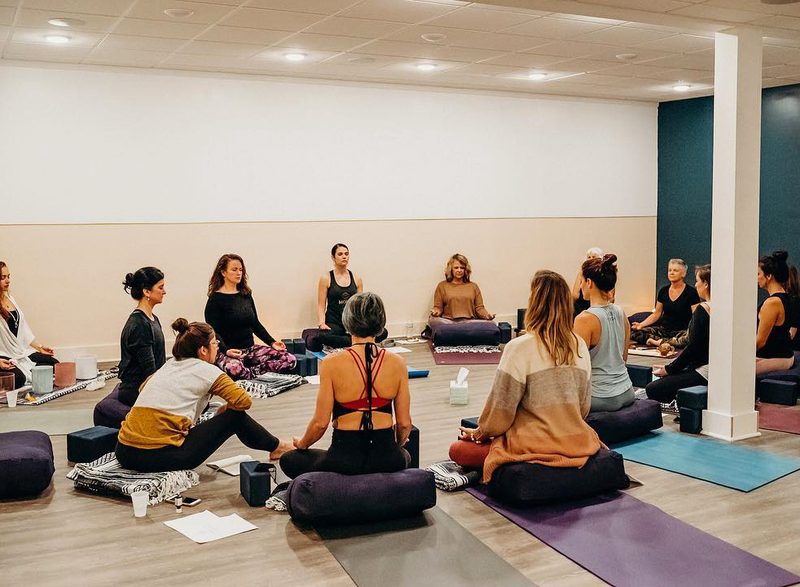 With a studio in The Heights and two more in Pittsburgh, Pennsylvania, Salt Power Yoga’s community (or kula) knows no bounds. Their signature power Vinyasa is a practice rooted in a mixture of breath and movement, and their namesake all but assures you’ll leave with some fresh salt (read: sweat) on your yoga mat. Sit in stillness at the newest studio in Oak Forest. MOVE Yoga focuses on finding inner peace but also on movement with purpose in both heated and non-heated classes. Though, you won’t be able to check your reverse warrior alignment in the mirrors — this studio believes your practice is a time for feeling rather than seeing. If it's a story you're after, there is no better studio in Houston than Montrose Yoga Cooperative. 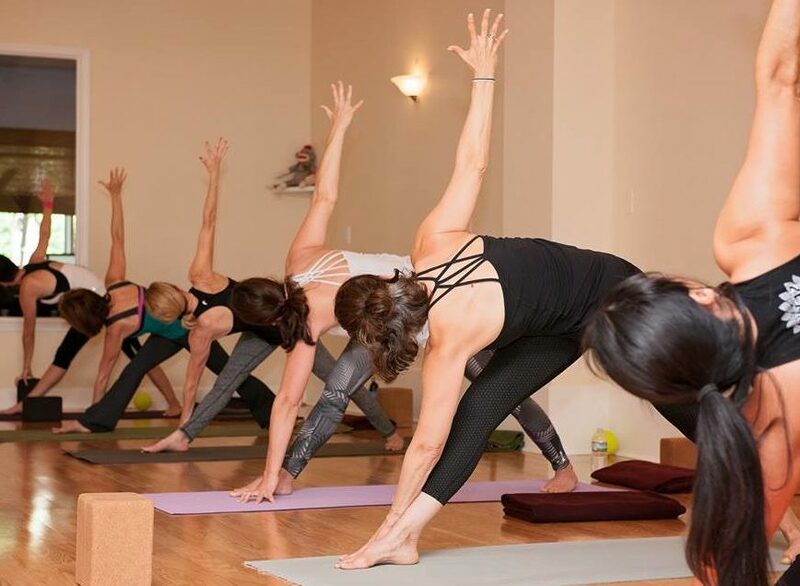 Owned and operated by a collective of instructors, this Richmond Ave. studio provides a variety of heated and non-heated power Vinyasas, basics classes, candlelit flows, and fusions classes, all given character by the styles and personalities of each teacher. But this almost never happened; after their initial soft opening in August of 2017, the studio was destroyed by Hurricane Harvey. However, like a phoenix from the ashes, this co-op was reborn — rebuilt on the foundation of a strong, intelligent yoga community.